A High Court in Yola, Adamawa State, has convicted and jailed former Gov. 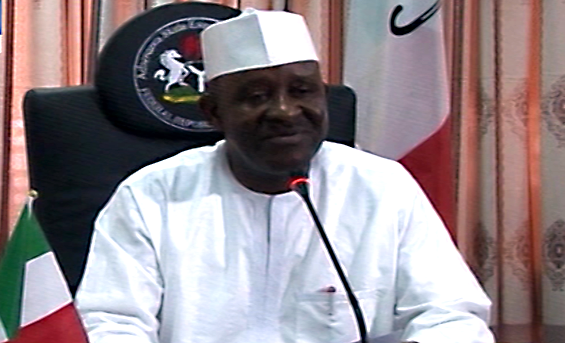 Bala James Ngilari for failing to adhere to the procurement laws of the state. In a 75-minute long ruling, Justice Nathan Musa found the former governor guilty of four charges, and discharged him on one, which bordered on conspiracy. The judge discharged and acquitted former Secretary to the State Government, and the Commissioner of Finance, who were second and third defendants in the case. In handing down his sentence, the judge said the law stipulated that the convict shall not be given an option of fine. He sentenced the former governor to five years in prison, and said the convict is serve his term in any prison of his choice. Mr. Ngilari was charged on September 21, 2016.